Swedish pop songstress Agnes has revealed details of her forthcoming album ‘Veritas’, including its cover image (pictured left). Though it’s not on the horizon here in Australia just yet, the album, the follow-up to 2008’s ‘Dance Love Pop’ is set to drop in her homeland early next month and sees Agnes taking on a greater songwriting role than ever before. The word ‘Veritas’ means ‘truth’ in Latin and the singer explains that the album is named such for a reason. 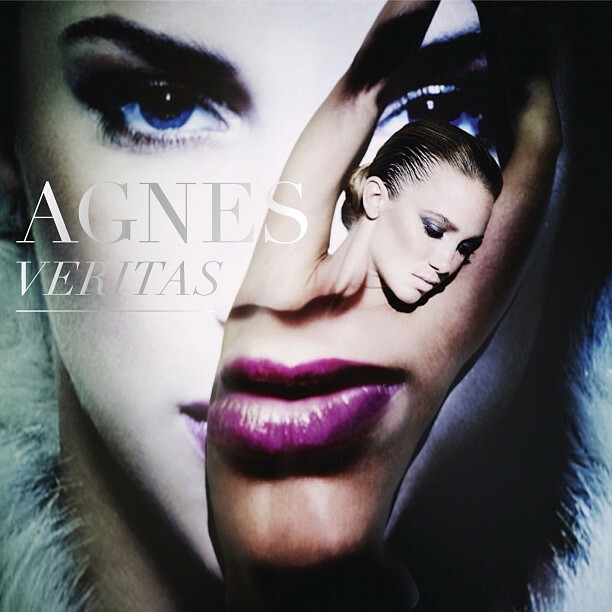 Agnes hit the big time in Australia with her 2009 single ‘Release Me’, which peaked at No.26 on the ARIA singles chart and No.6 on the dance charts. No word yet on a release for ‘Veritas’ here in Australia. They need to hurry up and release the amazing ‘One Last Time’ internationally already, I want to buy it on iTunes!